Joe Pavelski had a short-handed goal 2:49 into overtime to lead the San Jose Sharks to a 3-2 victory over the Winnipeg Jets on Tuesday. Pavelski’s 29th goal of the season came on a two-on-one with Brent Burns after a Winnipeg turnover, giving the Sharks a three-game win streak to start off a four-game road trip. He also had an assist in regulation time. The Jets ended a three-game win streak and a roll of seven consecutive victories at home. 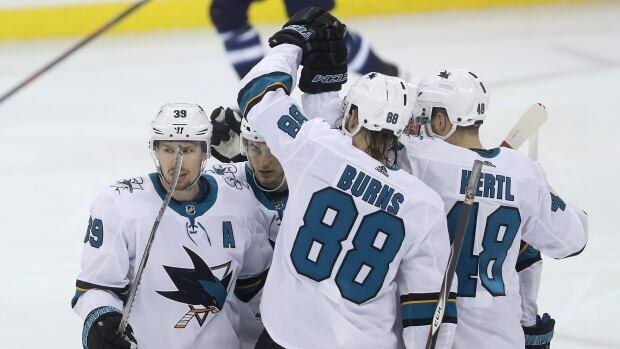 Logan Couture and Marcus Sorensen had San Jose’s other goals. Kevin Labanc contributed a pair of assists. Blake Wheeler and Mathieu Perreault scored for the Jets (34-16-3) and Connor Hellebuyck made 35 saves.